The smell of petrol will fill the air, the sound of revving engines mixing with the rock music that filters out from the speakers will make you feel the real taste of racing. Tension will start mounting as soon as you glance at your opponent and catch his steely stare. The flag will be lowered and you will pull away with a loud screeching of tyres. 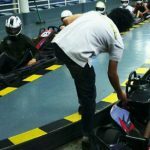 Controlling a kart is actually pretty easy, although it takes a while to accelerate and gain speed after maneuvering around the many tight corners as the track twists and turns its way around the floor. You will enjoy the feeling of driving the kart so much that you will forget about the race. Come and join the race in the tracks of Bangkok. For many years AIM Motorsport has been a formidable force in Thailands motorsport from Formula cars to Karting, by being one of the most successful teams with great success in all forms of motorsport and an infrastructure both on and off track that considered to be at the forefront of professional motorsport. Aim motorsport brings years of racing experience to the track and delivers consistent quality and results at each event they are a part of. Without the invention of the automobile engine, we wouldn’t be able to push the pedals on go karts and rather would have to settle for whipping dwarf-horses to go faster around the track. 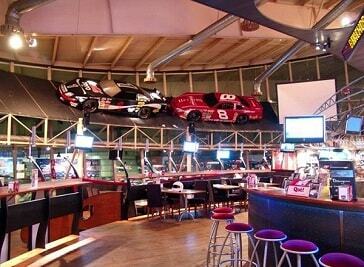 Celebrate 4-wheel innovations with Coco Bar karting. Coco Bar Karting & Restaurant is the famous shop in Ladprao area and later were moved to lacate near Ekkamai-Ramintra Express way but the degree of chic is up. 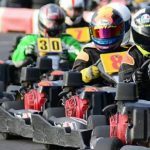 EasyKart.net is proudly presents the latest and most exciting concept in corporate entertainment in Thailand kart racing has grown to be their Customer. 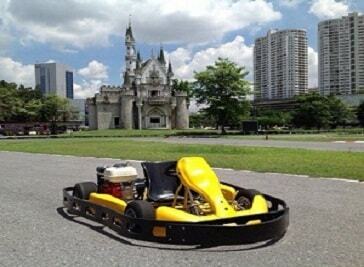 Since 2004, Easykart.net offers leisure activities for all in the Safest Environment of All Asia. People from all around the World enjoy their Activities and Events with Fun and Excitement.